Over the years of helping churches and venues set up their Behringer X32 and Midas M32, I found that many have said that the most difficult part of the setup is configuring the outputs off of the LR Bus of the console. I have taken those most common setups and put them into my Behringer X32 Mono System Configuration Scenes. 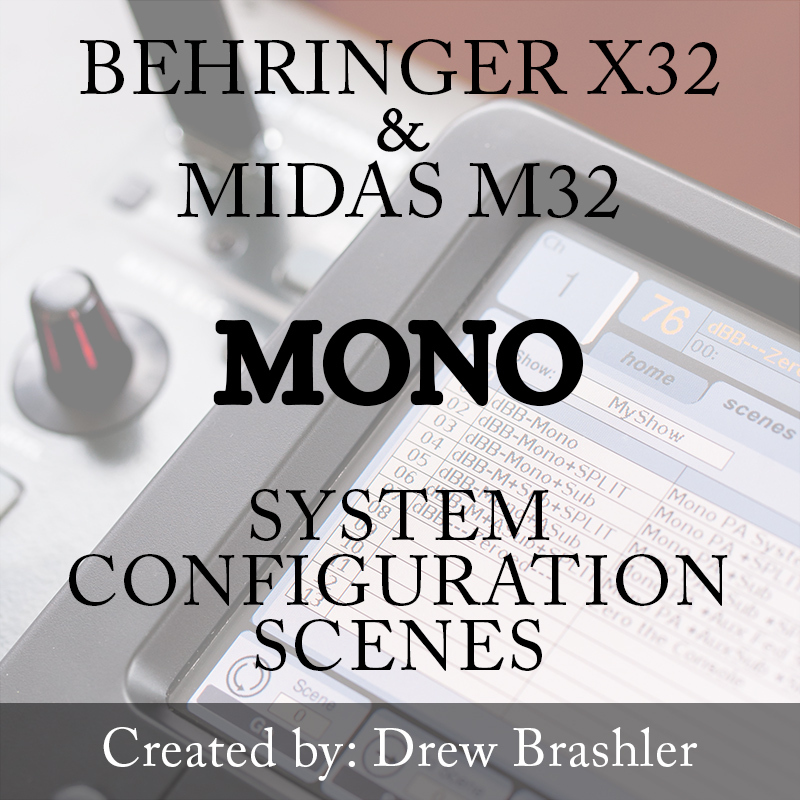 The Mono System Configuration Scenes should be used with a system that is a mono PA system in the room that the Behringer X32 or Midas M32 are placed in. These different scenes are a baseline starting point to build the audio workflow of your board off of. The main use of these scenes is to give you the backbone of routing through the matrix section as this is the best avenue to take for outgoing audio processing. This gives lots of flexibility to configure your Mono PA system using the Behringer X32 as the system processor and crossover.